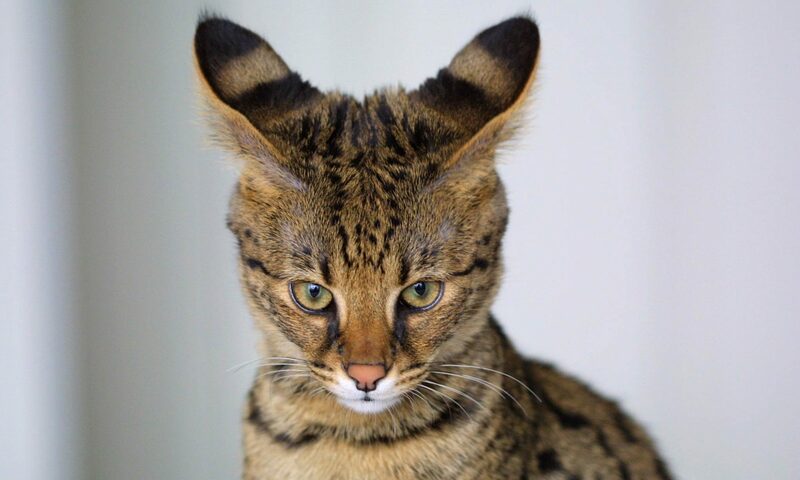 As a hybrid cat, the spotted Savannah is a cross between the ‘native-to-Africa’ Serval and a domestic cat marketed as an absurdly beautiful exotic pet. The first Savannah Cat was documented in April 1986. 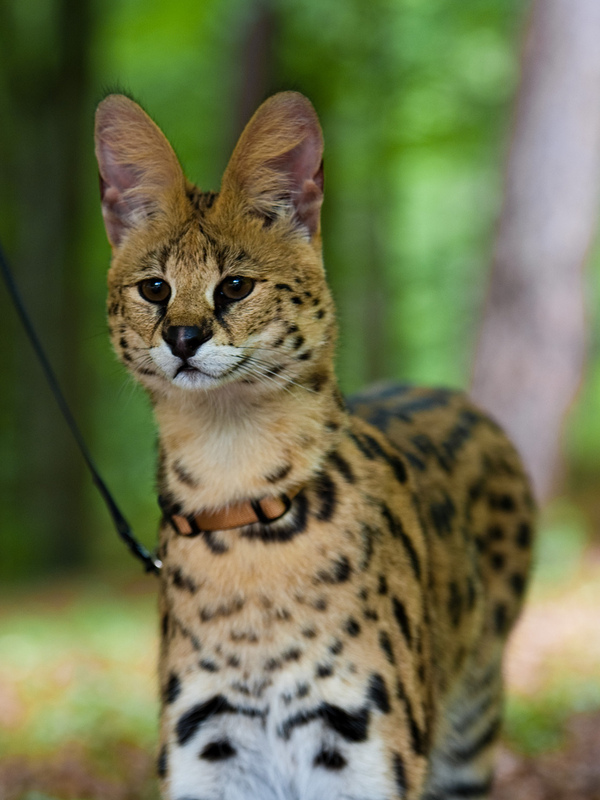 Cat breeder Judee Frank paired her Siamese cat with the male Serval cat of Suzy Wood. 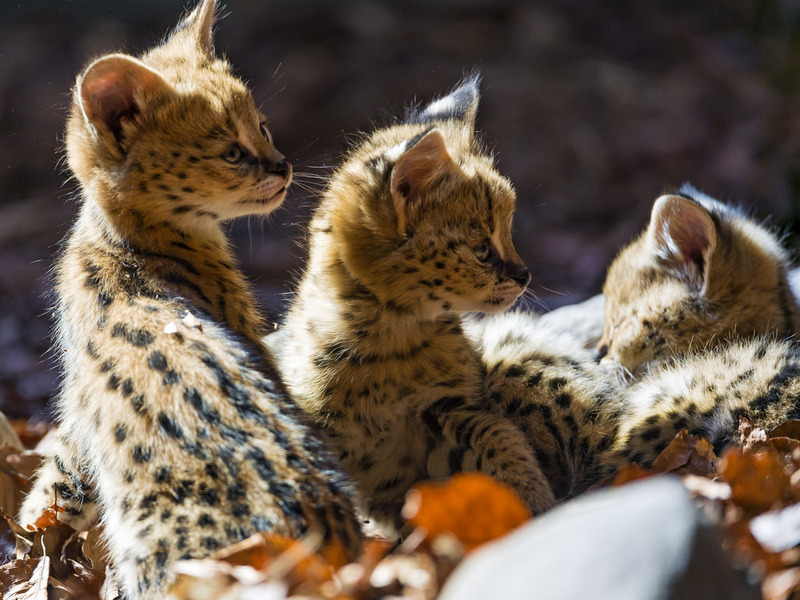 The result – beautiful kittens that were given the name of Savannah – after their native African grasslands. The kittens were the first F1- or first generation hybrid cross. A lean, muscular cat – almost cheetah-like with his spotted coat against a sandy coloured background, the dark cheetah-like tear stains at the eyes as well as the remarkably long legs. 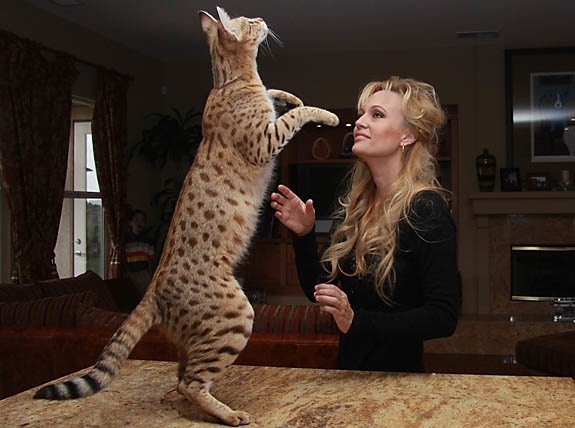 In fact the Guinness Book of Records tells us that the Savannah holds the record for the world’s tallest domestic cat. What is this ‘F” Number with the Savannah? 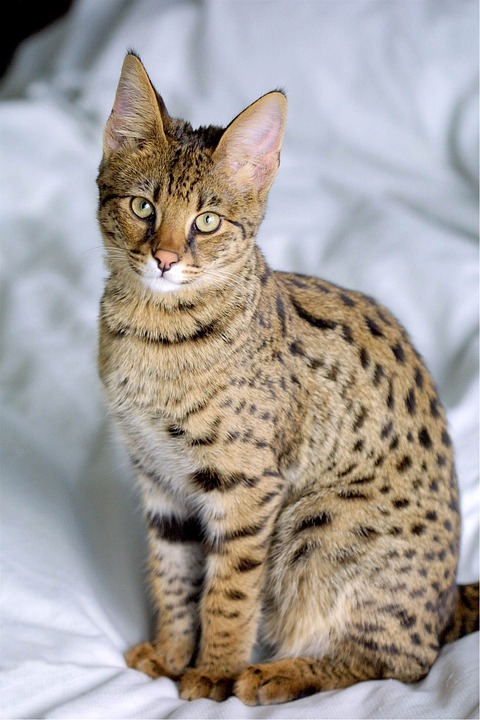 Savannah cats are described with a filial generation number such as F1, F2, F3 and so on. 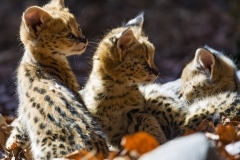 F1 and F2 for instance will mean the kitten having an actual Serval parent. The letters mean far more to breeders because they make a difference in the characteristics and personality your Savannah cat will possess. When it comes to personality, Savannah cats are super social cats, with characteristics and personality likened to that of a dog. They can learn tricks, play games, walk on a leash and splash around in a pond. The Savannah becomes attached to his family, selecting a favourite family member and following them around. Highly energetic and intelligent, he’ll need fun and games from you, otherwise he might get up to some pranks that might not impress you! He’s not a lap cat, but you’re going to have a fiercely loyal and affectionate feline friend. Your energetic feline friend will require special foods high in protein. Speak to your vet about wet- and dry foods so that you avoid feeding your special cat a diet with low quality ingredients that can jeopardise his health. Can You Commit Fully to your Savannah? 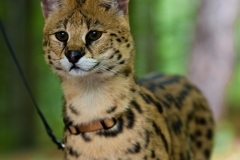 Think carefully before you buy a Serval. Just because it has a wild side, doesn’t mean the cat can be left to its own devices. 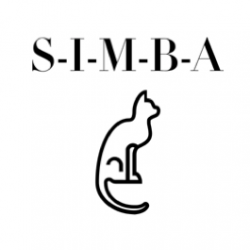 This is a social cat that requires attention, and while he makes an awesome pet, he needs a guarantee from you that you’ll love and care for him throughout his entire life of up to 14, 15 or 16 years. 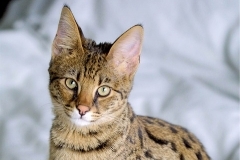 Next PostNext Are Savannah Cats Suitable House Pets if you have Children?